Like math and the Midwest, ISIS confuses progressives. It’s not hard to confuse a group of people who never figured out that if you borrow 18 trillion dollars, you’re going to have to pay it back. But ISIS is especially confusing to a demographic whose entire ideology is being on the right side of history. Raised to believe that history inevitably trended toward diversity in catalog models, fusion restaurants and gay marriage, the Arab Spring led them on by promising that the Middle East would be just like Europe and then ISIS tore up their Lonely Planet guidebook to Syria and chopped off their heads. But ISIS also believes that it’s on the right side of history. Its history is the Koran. The right side of its history is what Iraq and Syria look like today. It’s also how parts of Europe are starting to look. Progressive politicians and pundits trying to cope with ISIS lapse into a shrill incoherence that has nothing to do with their outrage at its atrocities and a lot to do with their sheer incomprehension. Terms like “apocalyptic nihilism” get thrown around as if heavy metal were beginning to make a comeback. Those few analysts who admit that the Islamic State might be a just a little Islamic emphasize that it’s a medieval throwback, as if there were some modern version of Islam to compare it to. Non-Muslims paid Jizya to Muslim rulers until very recently. Here is what it looked like in nineteenth century Morocco from the account of James Riley, an American shipwrecked sea captain. Those Jews who could not pay were flogged and imprisoned until they converted to Islam. An account from 1894 is similar, except that the blows were delivered to the back of the neck. Only French colonialism finally put a stop to this practice as well as many other brutal Islamic Supremacist laws. 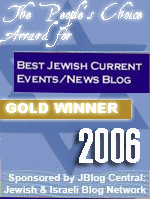 Morocco was one of the Arab countries where Jews were treated reasonably well by the standards of the Muslim world. 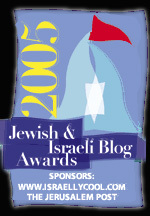 It’s one of the few Arab countries to still retain a Jewish population. When ISIS demands Jizya from non-Muslims, it’s not reviving some controversial medieval behavior. It’s doing what even “moderate” Muslim countries were doing until European guns and warships made them stop. If the French hadn’t intervened, the same ugly scene would have gone on playing out in Morocco. If the United States hadn’t intervened, the Saudis would still openly keep slaves. Islam never became enlightened. It never stopped being ‘medieval’. Whatever enlightenment it received was imposed on it by European colonialism. It’s a second-hand enlightenment that never went under the skin. ISIS isn’t just seventh century Islam. It’s also much more recent than that. It’s Islam before the French and the English came. It’s what the Muslim world was like before it was forced to have presidents and constitutions, before it was forced to at least pay lip service to the alien notion of equal rights for all. The media reported the burning of the Jordanian pilot as if it were some horrifying and unprecedented aberration. But Muslim heretics, as well as Jews and Christians accused of blasphemy, were burned alive for their crimes against Islam. Numerous accounts of this remain, not from the seventh century, but from the eighteenth and nineteenth centuries. Those who weren’t burned, might be beheaded. These were not the practices of some apocalyptic death cult. They were the Islamic law in the “cosmopolitan” parts of North Africa. The only reason they aren’t the law now is that the French left behind some of their own laws. Muslim countries like Saudi Arabia that were never truly colonized still behead men and women for “witchcraft and sorcery.” Not in the seventh century or even in the nineteenth century. Last year. The problem isn’t that ISIS is ‘medieval’. The problem is that Islam is. What progressives mistake for modern Islam, whether while touring Algeria or on the campus of their university, is really an Islam whose practice has been repressed by the West while its ideology remains untouched. Modern Islam is in a state of contradiction. It’s a schizophrenic religion whose doctrine calls for supremacism but whose capabilities prevent it from exercising the full measure of its doctrines. Islam is the 90 lb. weakling that wants to be the school bully. It can’t punch you in the face, so it stabs you in the back and then blames someone else. When you punch it back, it plays the victim. This split between ideas and power forced Islamists to resort to sneakier tactics, from terrorism to mass migration, to fulfill the spirit of their religion. The underlying imperative is to restore a conquering Islam capable of humiliating non-Muslims in Muslim lands and expanding into non-Muslim countries. That is why Saddam and Iran pursued weapons of mass destruction. Why Muslim armies tested themselves against Israel. Why Al Qaeda built a decentralized terrorist network with cells around the world. Together with the practical agendas of wealth and power was a deeper spiritual significance. Islam required that its leaders wage a war against the infidels. And they had to do so on terms that would allow them to win. Or at least to survive the attempt. ISIS cuts through the split by advocating an uncompromising supremacism. Its theater of brutality is meant to convince Muslim audiences that they have the ability to directly confront the West. They no longer need to navigate a course between their capabilities and their religion. Under a Caliph, they can build the capabilities to restore the full practice of Islam as it was before the Europeans put a stop to it. In the bigger picture, ISIS would like to turn the clock back to the seventh century. That’s a vision it shares with any number of Islamist groups and governments. But its most objectionable behavior, such as beheading and burning non-Muslims, taking slaves and demanding Jizya from non-Muslims, only requires turning back the clock to the eighteenth and nineteenth centuries. To truly understand ISIS, we don’t need to go back to the seventh century. The eighteenth century would be just as good. And once we understand that, we understand all the rest of it too. Progressives see ISIS as a historical aberration. ISIS sees them the same way. It’s all a question of whose history book we’re using and which side is willing to do anything to win. Islam is a religion of war. Its right side of history is not a matter of faith. The right side of history is the side that wins. The most conspicuous accomplishment of "European guns and warships" early on was that they ended the taking of white slaves in the Mediterranean. Eventually they also discouraged slave taking more generally. 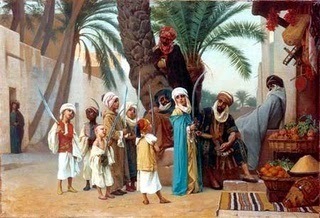 Islam traditionally was very much a slave oriented culture with the followers as a kind of overlord. Naturally the use of slaves died out slowly and it is not entirely gone yet. Perhaps it will make a comeback. Effectively the sale of women under ISIS is a slave auction. hey man, heavy metal HAS made a comeback. otherwise a wonderful essay. Wikipedia, "Lawrence of Arabia" circa 1922, Photo-Prince Faisal-un-named slave. The first step is to document what ISIS is and to ask which of these practices is unislamic or an islamic herey. If a notable number of Islamic scholars can identify such a heresy and act like it, we should honor that and stop calling ISIS islamic. If they do not or are not able to point to specific heretical beliefs, then it's islamic because ISIS claims it is and its opponents are unwilling to contradict them. If progressives want to play on that board, let them. The discussion might be productive. I've always thought the most ridiculous aspect of Black Nationalism and seperatism in the West has been the idea of "Black Muslims" or the Nation of Islam. The guys screaming the loudest about long-dead Portugese slave traders and southern plantation owners, lined up to follow the religion that practiced by the very people that sold most of their ancestors into slavery. I prefer the term Ummah Militant over Islamic radicals. They are the aggressive nodules in the parenchyma of the Moslem world. 'will make a comeback'. Already has. What do you think Haram Boko is doing with the women they've captured. I am not a Muslim or an apologist but I think you have conflated Islam with Arabs. 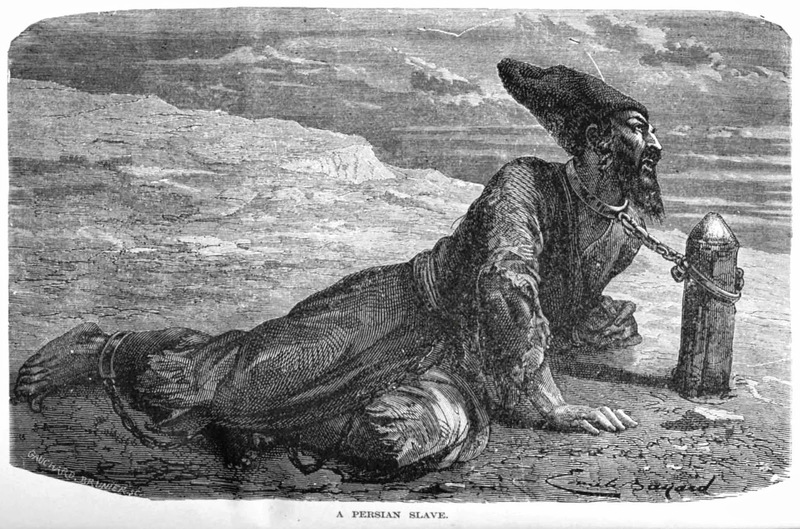 In the Indian subcontinent,Iran Turkey and Southeast and Central Asia slavery is and was nonexistent despite the widespread adherence to Islam. These are also the regions where Sufism and local customs remain a bulwark against the nastiness of Wahabi Islam. Slavery was non-existent in Turkey? Maybe if you ignore the Ottoman Empire and focus only on the modern Republic of Turkey, currently going extinct under the AKP. Iran most certainly had slavery, even before Islam. Central Asia had slavery until the Russians broke it up. They've arguably continued the practice on the sly. Ironically, one of the main precepts of leftist ideology since the decline of orthodox Marxism, has been the rule that outsiders should accept whatever self-definition a group gives itself, no matter how much it flies in the face of common sense, documented history, or genetic studies. Isis defines itself as Islamic and additionally its ideology and actions are consistent with Islamic texts and historic practice. To call it un-Islamic is either idiocy or hypocrisy. Are you an idiot? Malaysia? Indonesia? Turkey, Brunei? Really These are modern countries and in Turkeys case it has gone from a backward country to one of the top economies in the world in 20 years. "Modern". If you consider a country that claims petting dogs is a Christian conspiracy and bans Christians from using the term Allah. And Brunei, a tyranny which brought back brutal Islamic punishments. Turkey? It's in debt up to the neck to finance the pathetic attempt to bring back the Ottoman Empire while backing ISIS. An enlightened explanation of the unenlightened. I seem to recall the cause celeb back in the day was for Albania indy. Where are all of *those enlightened ones? When Napoleon conquered Egypt in 1798 it was with 400 ships and 54,000 men. Quite a large force but what he discovered was the single largest factor, at least until 1802 when the French were finally pushed out with overwhelming force by combined Turkish and British land and naval forces of more than a quarter million men, was that the Egyptian world view was so walled off so insular so...arrogant that after hundreds of years of telling themselves they were the pinnacle of world development with the most powerful armies, the most advanced technology, the most powerful and wise rulers that they simply could not understand how the French fleet could ever be a threat to them. Almost like Cortez and the Aztecs. The idea that some scruffy Frenchmen in their boats could even consider conquering them was inconceivable. So when they did, it all went rather quickly. The take away is that from about the 15th century to the end of the 17th century, the Muslim world stopped dead in its tracks and the European world leaped over it. The Ottomans and their client states ended the middle ages at more or less the same time as Europe but Europe went on to the Renaissance. And then the Enlightenment and then the Industrial Revolution. Whereas the Muslim world got as far as conquering Constantinople and then went to sleep. They were done and they spend the next several hundred years congratulating themselves. Anonymous, a major problem with slavery, crucifixion, etc. being coordinated with Arab culture is that it was practiced by Mohammed himself, and is written into the Koran as acceptable for Muslims. That means that, even if it is not practiced, it is still acceptable in Muslim doctrine world-wide. "Muslims can say that slavery is not legitimate *now*, and that crucifixion is wrong *at this historical juncture*. Many say precisely this. But they cannot condemn slavery or crucifixion outright without contradicting the Koran and the example of the Prophet." "These are modern countries and in Turkeys case it has gone from a backward country to one of the top economies in the world in 20 years." Turkey's per capita GDP puts it solidly between 60 and 70 in international rankings. If this is one of the top economies in the world, I am one of the top athletes in the world. I've always thought the most ridiculous aspect of Black Nationalism and separatism in the West has been the idea of "Black Muslims" or the Nation of Islam. The guys screaming the loudest about long-dead Portuguese slave traders and southern plantation owners, lined up to follow the religion that practiced by the very people that sold most of their ancestors into slavery. "Like math and the Midwest, ISIS confuses progressives." "In the Indian subcontinent,Iran Turkey and Southeast and Central Asia slavery is and was nonexistent..."
The "Indian subcontinent" is a cesspool of slavery. "To call it un-Islamic is either idiocy or hypocrisy." And progressives are never hypocrits right? So they must be idiots.... They can correct me, if I'm wrong. Indeed the sultan's mother and wives were slaves. ..."European guns and warships" ... ended the taking of white slaves in the Mediterranean. Muslims are even worse than that. Raiders of the Religion of Slavery ranged up and down Europe's Atlantic coast, into Europe's rivers, across the British Isles and Ireland, and as far as Iceland. Raiding and slave taking continued into the 19th century. Second and Third Worlds took it in the shorts, by the eeeeeevil First World. "Victimhood" is the foundation of everything liberal. O'Bama and His comrades hate capitalism with a passion and it is their profound duty to collapse it, after looting it.....all in the phony guise of "redistribution. "Islam traditionally was very much a slave oriented culture with the followers as a kind of overlord." Actually, even the followers are slaves of a sort. The name "Islam" means "Submission" in Arabic. Islam, as we know it, the Al Azhar confirmed version, is a creation from around 750 - 950 (AD) by the Abbasids from Kufa and from Bagdad. It was aimed at reviving the spirit of the erstwhile fierce Arab mercenaries, who had taken control of the Middle-East after the collapse of both the Byzantines and the Persians. The first wave of Arab rulers were the Ommayyads from Damascus, but they were a motley lot as far as religion was concerned, a lot like the Yezidi with Christian, Jewish, Arabian or Proto-Muslim believes (of course no Zoroastrian streaks). They ruled the Middle East from about 650 to 750. The y were very tolerant and Art and Science prospered. In order to replace them the Abbassids created the Mohammed-myth. Until 900 it was essentially a story of warrior prowess with little emphasis on religion. Intil about 900 religious tolerance was still alive in Bagdad as can be deducted from the translation into Arabic of all the major Greek philosophers by Nestorian christians. This was however to come to an end as can be observed by the application of what was to become the Islam as we know it to-day. Philosophy became a heresy punishable by death, apostasy carried the same punishment, non-believers had to be persecuted, the interpretation of the Koran was stopped, the gates were closed. Christian and other pilgrims, who journeyed to Jerusalem started to encounter difficulties around that time too. And when the newly converted Turks took hold of the Middle-East the difficulties became bloodshed. The crusades were not far off. Is the confusion a real ignorance of Islam or is the fact that the institutions and politicians taking oil money are finding that their bed mates are more aggressive and ambitious than they first thought. Most of these progressives are probably more afraid that the depth of their collaboration will be found than they are of Islam itself. Its like watching urban machine democrats when crime gets out of hand after they spend years taking drug money. They act hurt and confused but still trot out the racism line long after anyone will buy it. After all criminals are the least racist when finding victims (unless the most vulnerable are a race) and Islam doesn't really pick and choose. They see land and wealth and they take it. Islam, the religion for those who want to enslave. Obamaism, the religion for those who happily enslave themselves to a greater power. Beyond the Arab sphere, Muslim but non-Arab Africans enthusiastically enslaved their non-Muslim African neighbors for centuries, up to the colonial interventions of the late 19th century. All Westerners' travel reports up to ca. 1900 from the Muslim lands of the Sahel and the Sudan unanimously bear witness to that. More on the same note. 2. spiritual death : you pretend to believe in the ideology, and in that case you wear a mask. Thus, according to Sima Qian, in a system founded both on force and on ideology, one can choose only between physical death and spiritual death. That is precisely the structure of Islam, founded both on ideology and on the use of armed force. I have already spoken of violence towards the exterior. One must add to that the interior violence that is exerted on the 'dhimmis'. The term 'dhimmis' refers to peoples conquered by the Muslim armies, who lose all their political rights and the greater part of their civil rights, and who become foreigners in their own country. They are driven to extinction by a combination of methods. In "A Siberian Education", Nicolai Lilin describes a Russian acquaintance who was enslaved by a Central Asian family in the 90s. To call ISIS unislamic is also to call Muhammad unislamic, because ISIS does exactly the same things he did, in accordance with exactly the same koranic verses. Therefore, according to most schools of Islamic thought, insisting that ISIS is unislamic is an act of apostasy. In islam, the great majority of koranic messages are regarded as being valid for all people at all times. There are no time limits in Islam. Therefore, if Muslims say that slavery and crucifiction are inappropriate now, they are rejecting key koranic verses (God's law) in favor of contemporary European and American mores (man's law), which is an act of apostasy that is technically punishable by death. Yep. They took a million white slaves in southern Europe alone. Yet Muslims constantly whine about Western slavery and colonialism while conveniently forgetting that Islam invaded and took over half the world, slaughtering tens of millions of innocent people in the process. Our own colonialism was generally far more benign, and left the natives with useful institutions and infrastructure that they voluntarily retain to this day. Why can't you make your point without ad hominem attacks on liberals and progressives. You have a point to make. Presumably you want to persuade people. By injecting domestic identify politics in, you hurt your own cause. You almost lost me because you. What I would like to see is some acknowledgement from the Islamic world that this problem of violence and anti-humanism is intrinsct to Islamic teachings so that they can deal with the many theological problems in Islam, like its supposed inerrancy. Religion can only be useful as myth and metaphor, we have a state legal code thank you. If you take a position of inerrancy over your ideological enemies, you are telegraphing your blind spots and losing credibility. Stop. Liberalism, progress are not your enemy, nor should I as liberal be opossed to conserving positive social institutions and balancing books. In any event this post is not about 18/trillion debts, so why go there. If we go there, and have debate on debt, Republicans are in such a weak position it will be embarassing, though shame and self awareness is not a well known conservative attribute. See that ad hominem attack didn't help my case. It felt good to insult Republicans but that is a Phyrric victory. Exercise restraint. You make some strong points in the latter parts of the post but you lose half your readers with ad hominem attacks on liberals and progressives. Why? Presumably you want to persuade people, most of all you should want to persuade those least likely to agree. Why insinuate identity politics. I will never be a right wing soma eater just as I will never be a Muslim or a Christian. So what. I thought that was the point. Ideally we in the West should be trying to persuade Muslims that they have to embrace pluralism to live in the West. I would like to see some acknowledgement by Muslims that much of this violence and social distinction is intrinsic to the Koran. This has to be accepted by Muslims just as most Christians accept the bible as allegorical. People are responsible for their individual actions but on the scale of civilizations its ideas that are the criminals and the hero's. Mohamed el Sisi has taken some steps in this direction but it will be a long haul. Stop fighting your brothers and sisters, remember it was liberals who one both world wars. Let us do what we must for security but make out points more generously. If in the end raqqau has to be air fuel bombed to a cinder it should be done with professionalism and a heavy heart. Trollmagik, while I'm happy to see you take the positions you do, the majority of liberals don't agree.